Voters in a central Maine city have decided not to recall a mayor who came under criticism after using social media to tell one of the survivors of a Florida school shooting to "Eat it." Waterville Mayor Nick Isgro faced the recall vote on Tuesday. He directed the April tweet at David Hogg, one of the survivors of a shooting that killed 17 students at a Parkland, Florida, high school. Hogg is an advocate for strengthening gun laws. Isgro was tweeting in response to a Fox News decision to stand behind pro-gun rights commentator Laura Ingraham in the wake of an advertiser boycott. Isgro has made the case that the failed recall attempt was actually an effort to get him out of office so he can't veto the city's budget. City Manager Michael Roy has disputed that claim. 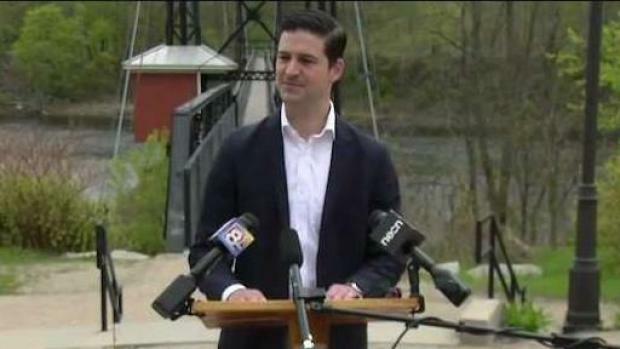 Nick Isgro, the Waterville, Maine, mayor facing a recall petition after his tweet about Parkland survivor David Hogg, spoke at a press conference.